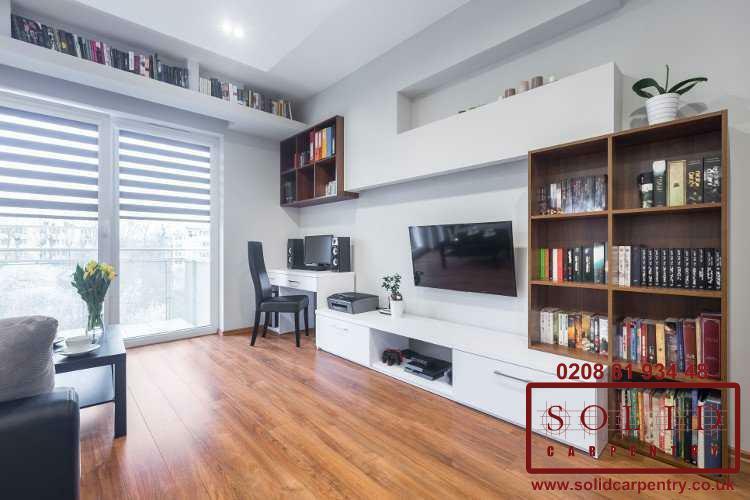 Want to create unique atmosphere at home? 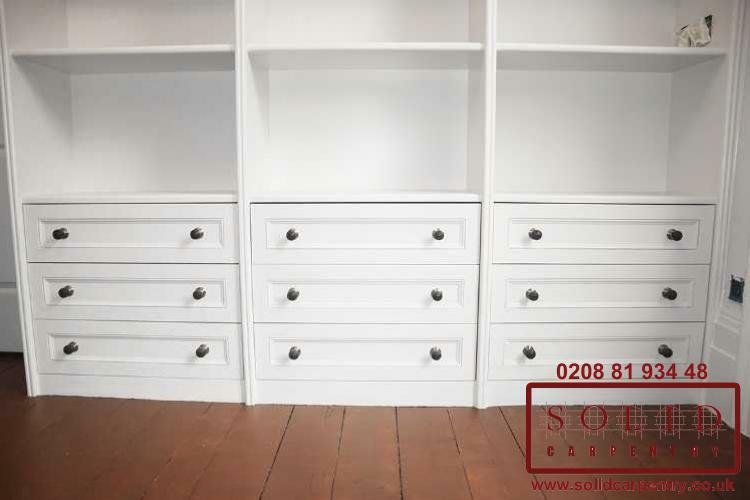 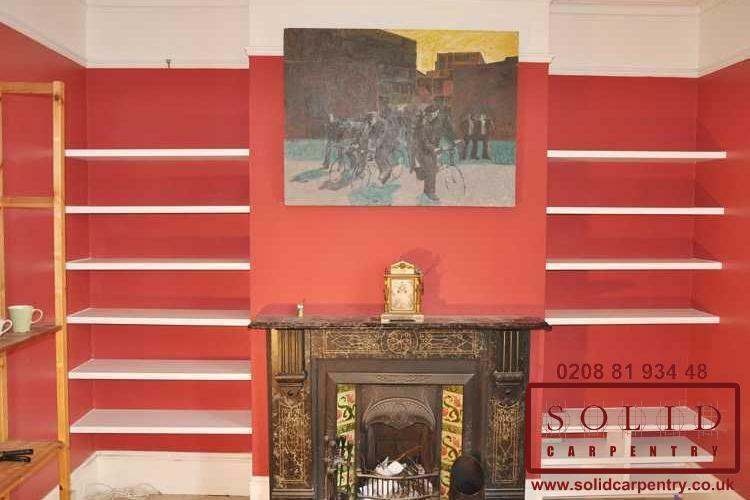 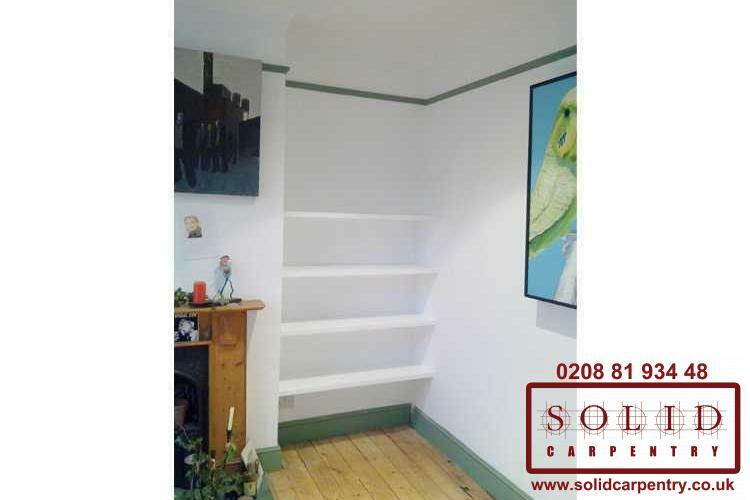 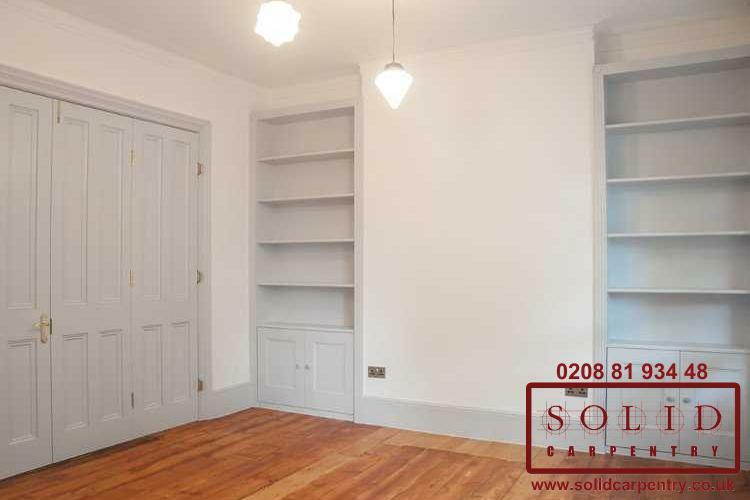 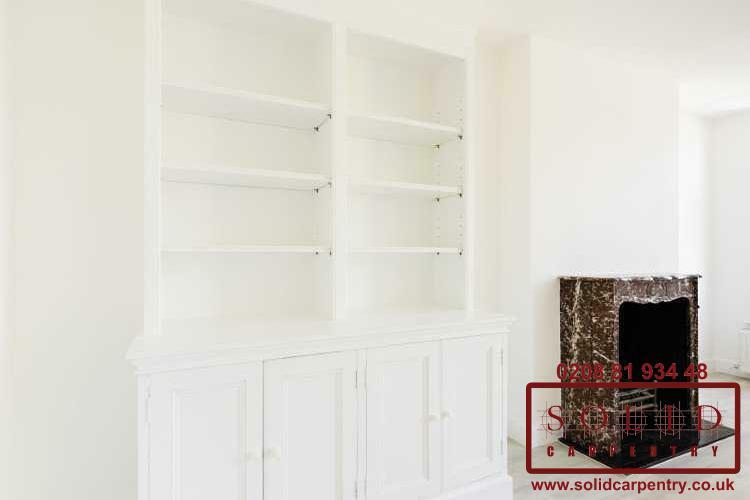 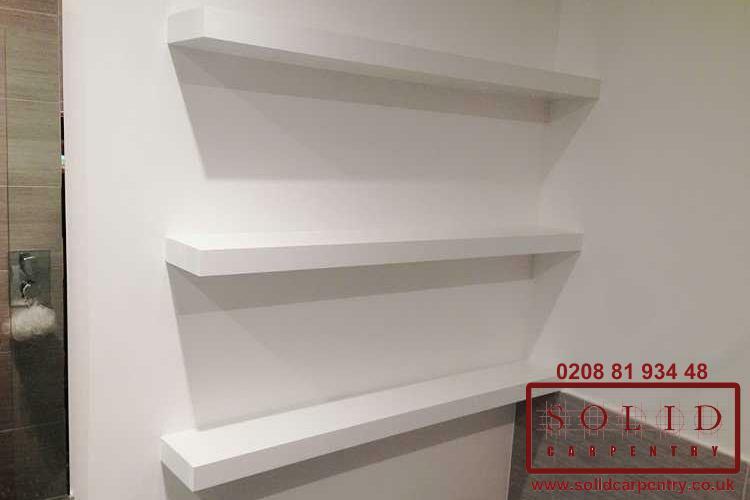 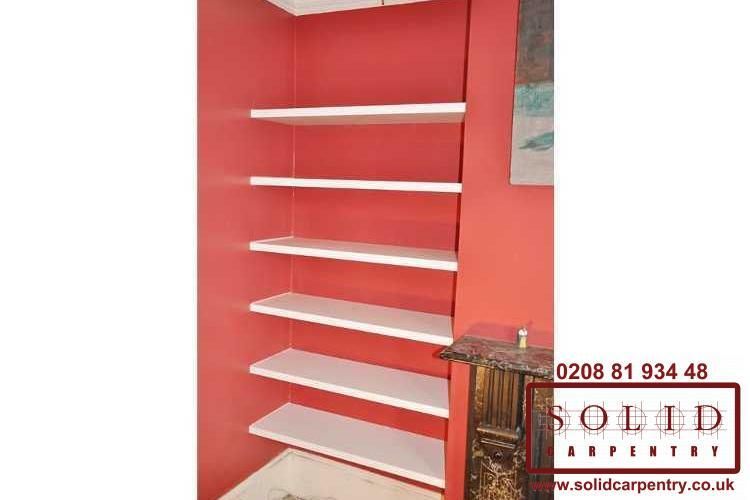 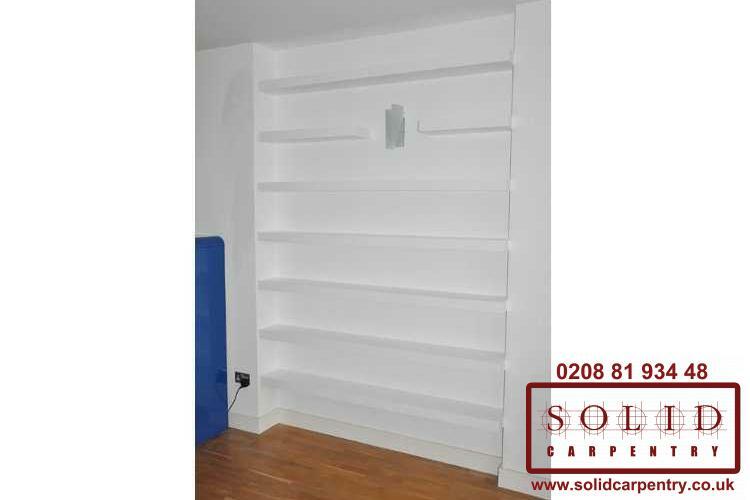 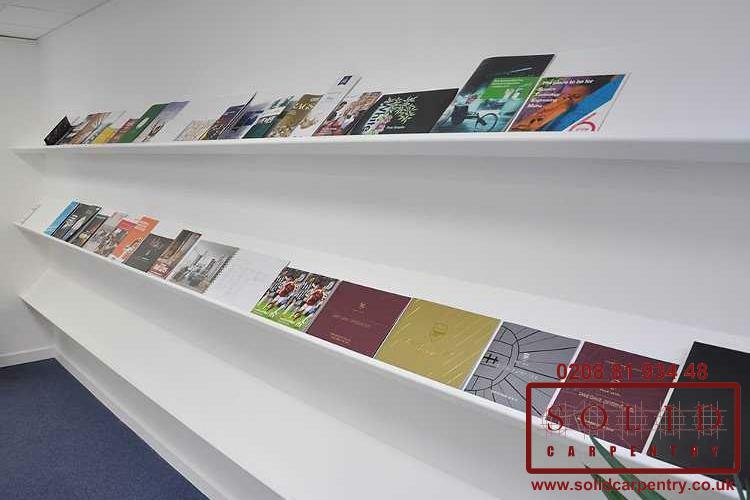 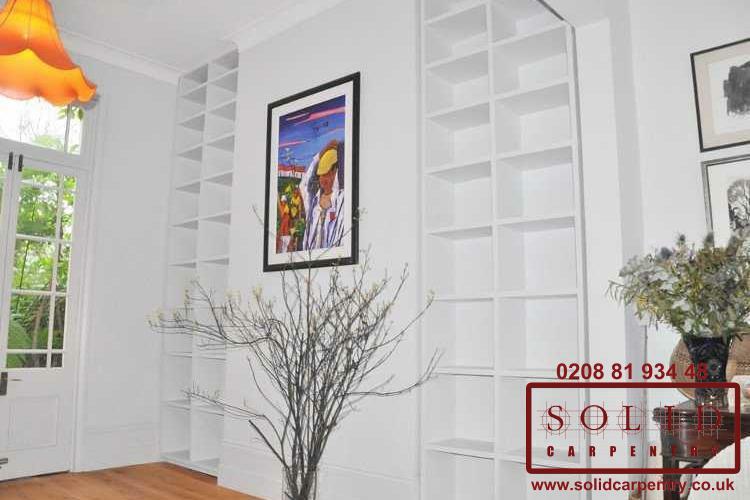 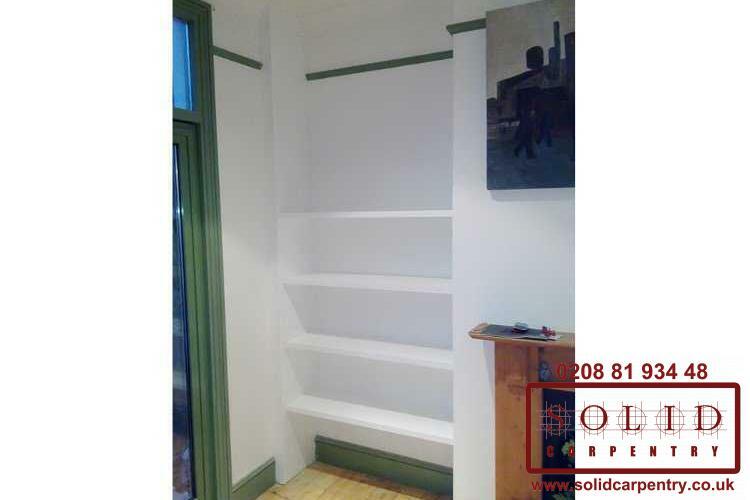 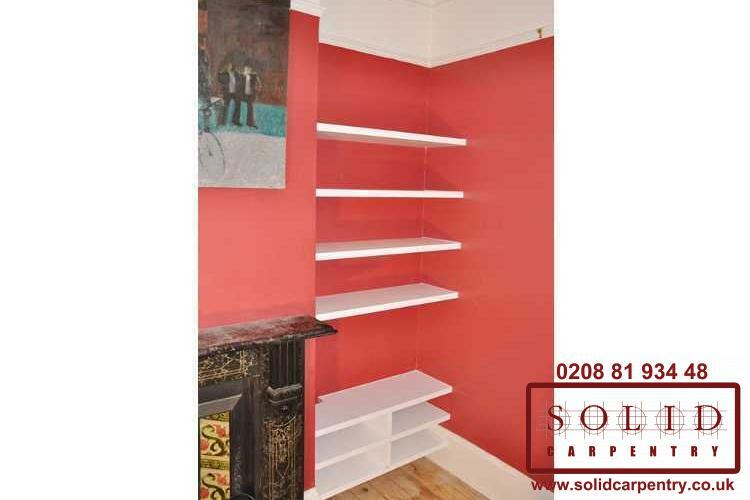 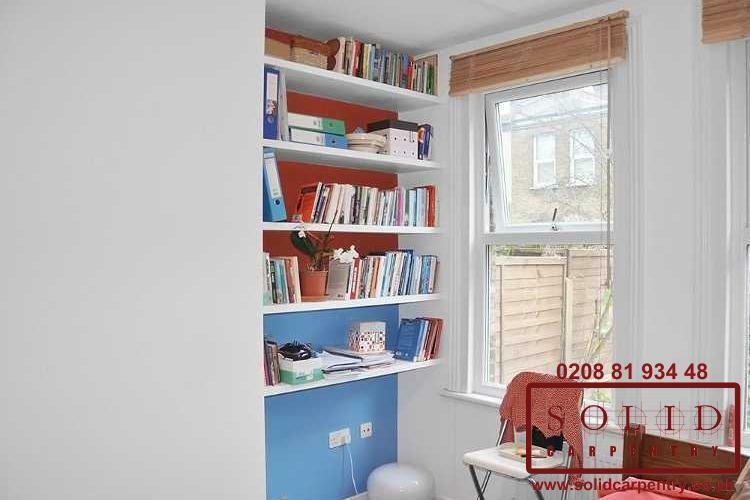 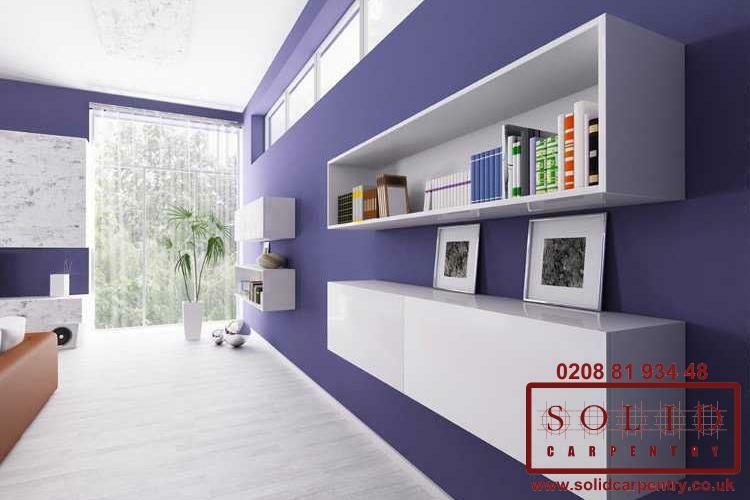 Not sure if painted MDF shelves are the best choice for you? 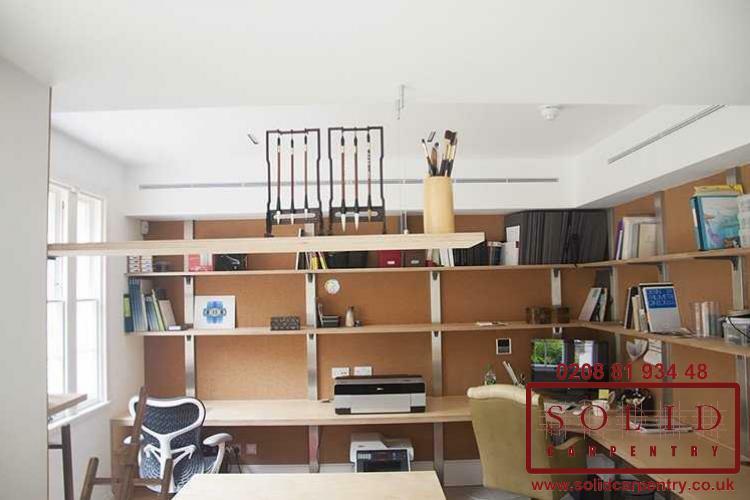 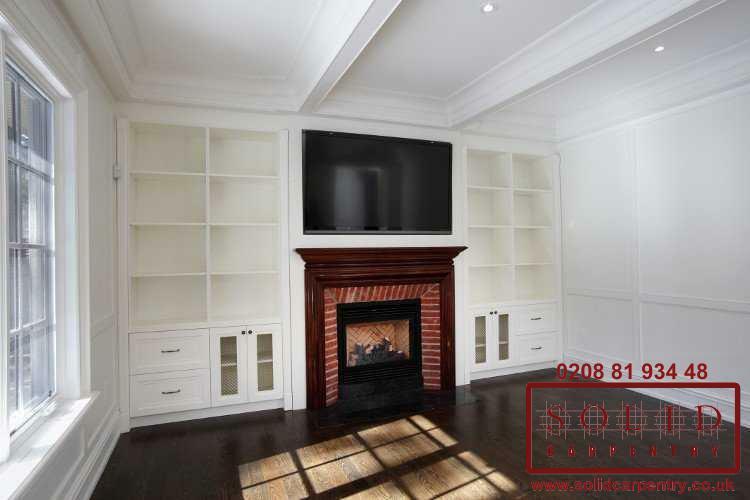 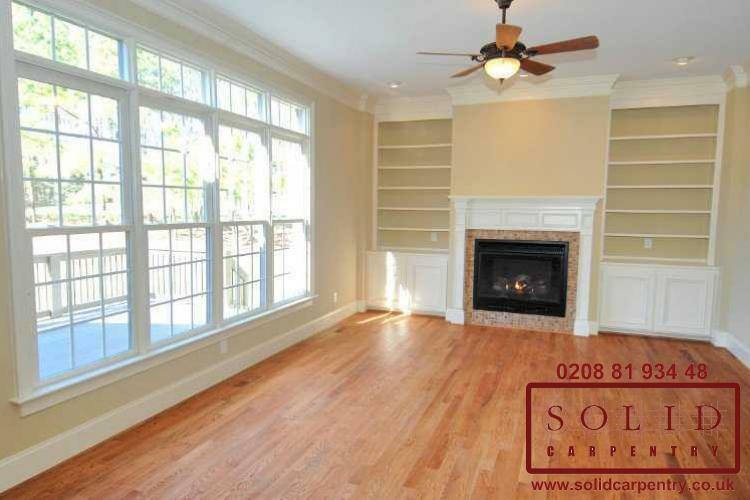 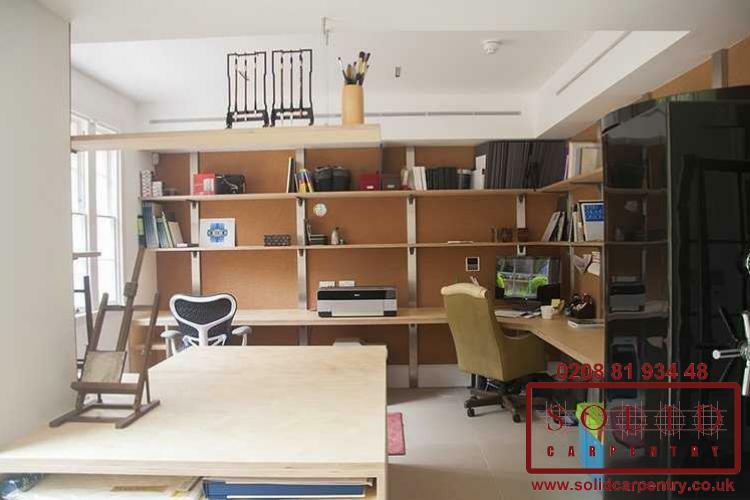 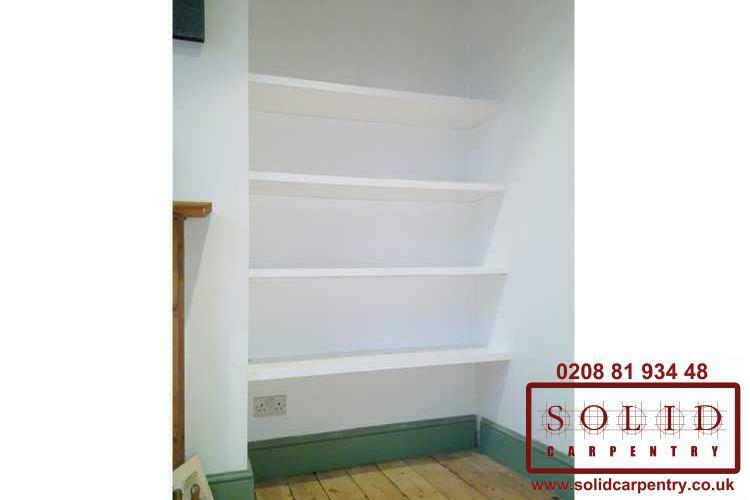 Then you might want to consider fitting shelves made of solid natural wood. 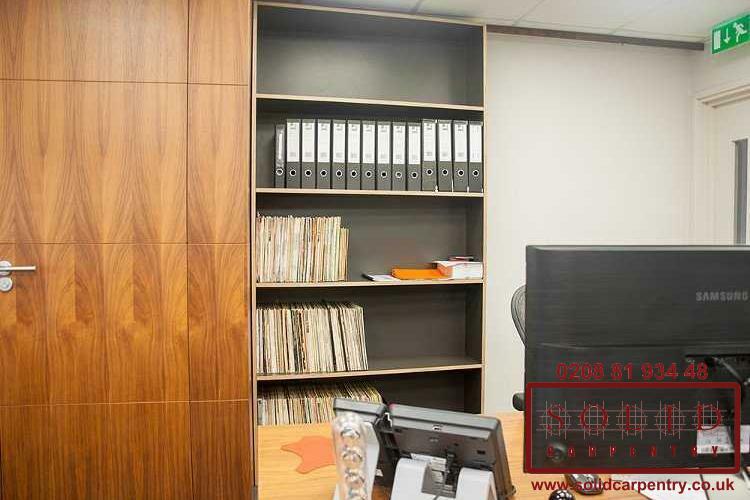 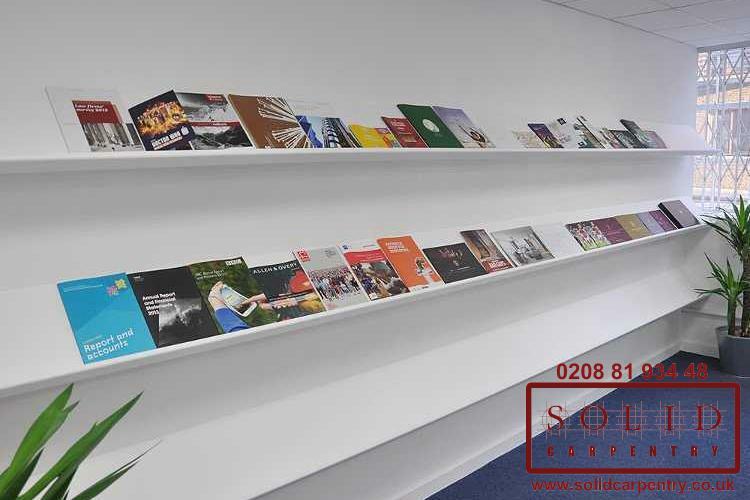 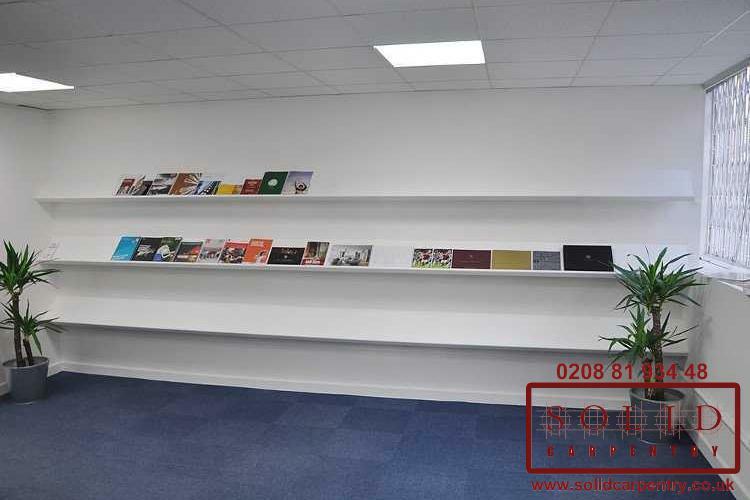 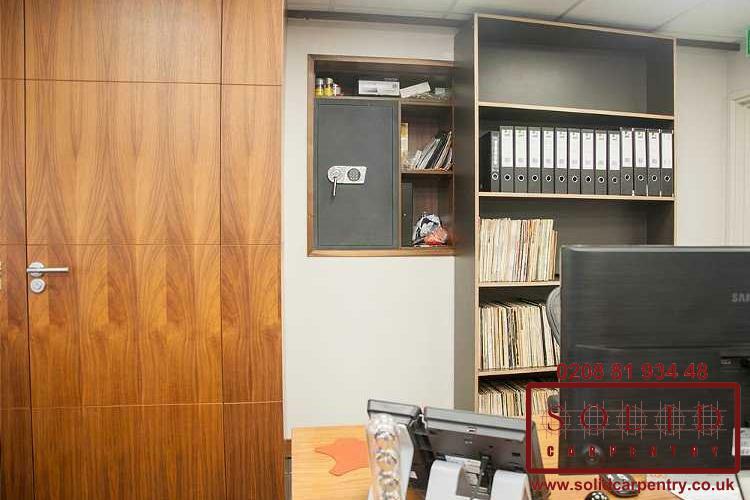 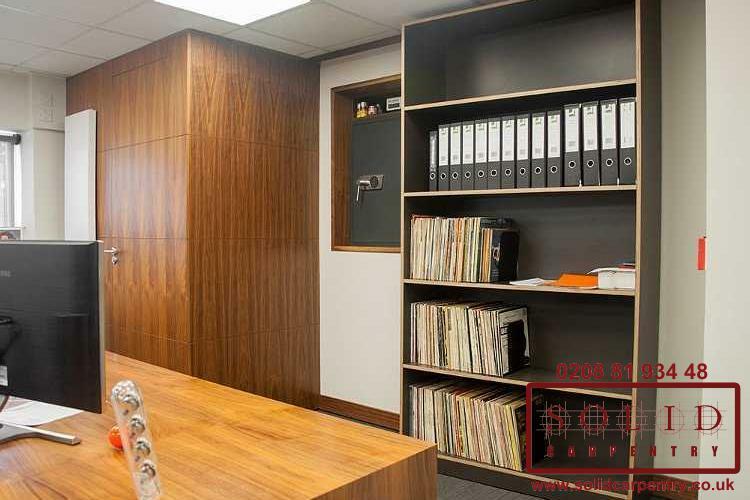 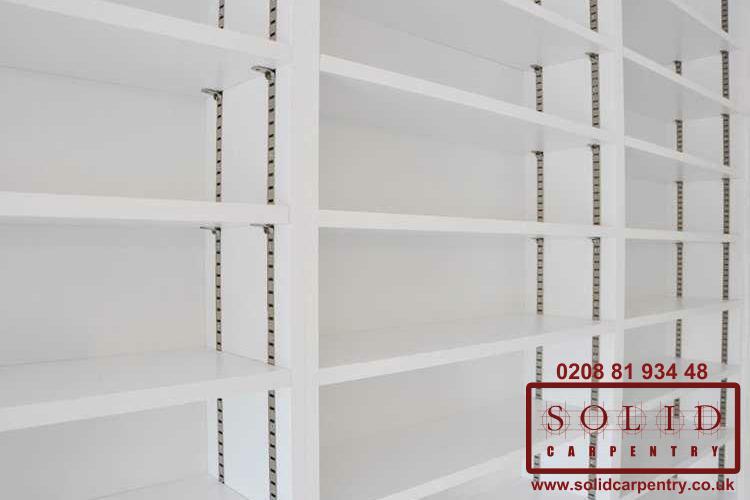 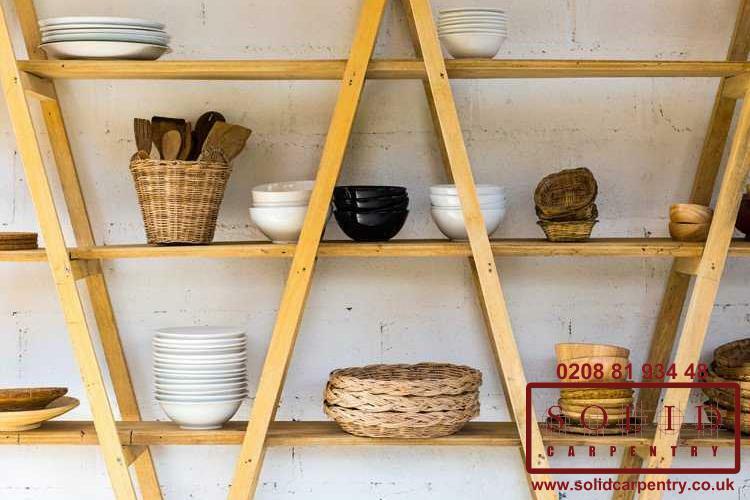 We can offer natural wood shelving units made of different wood types, specifically designed to meet your needs. 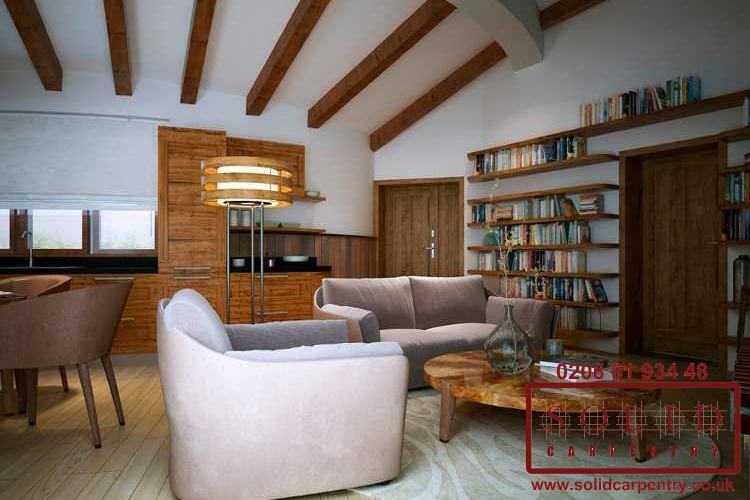 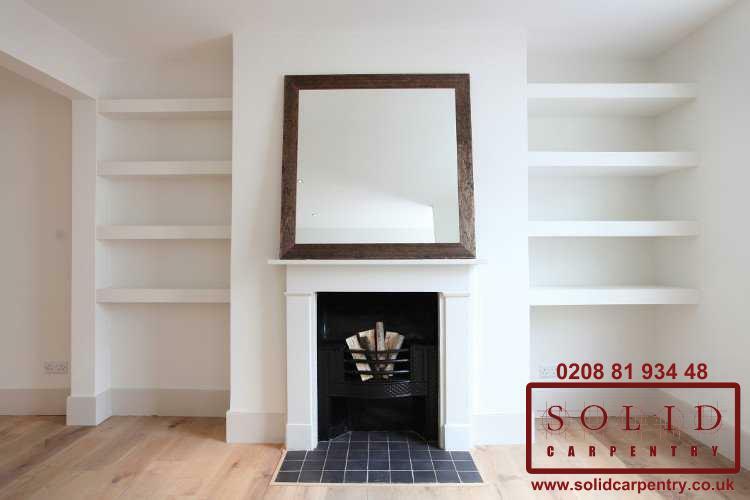 Natural and simply beautiful solid wood shelves can match perfectly almost any interior - from classic to ultra-modern. 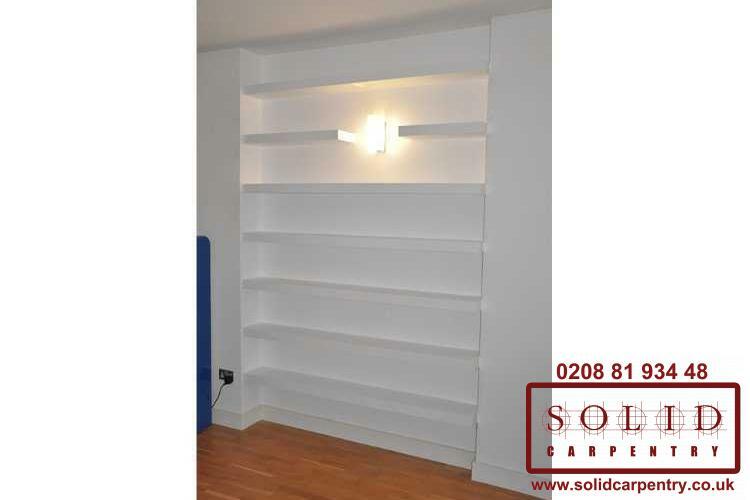 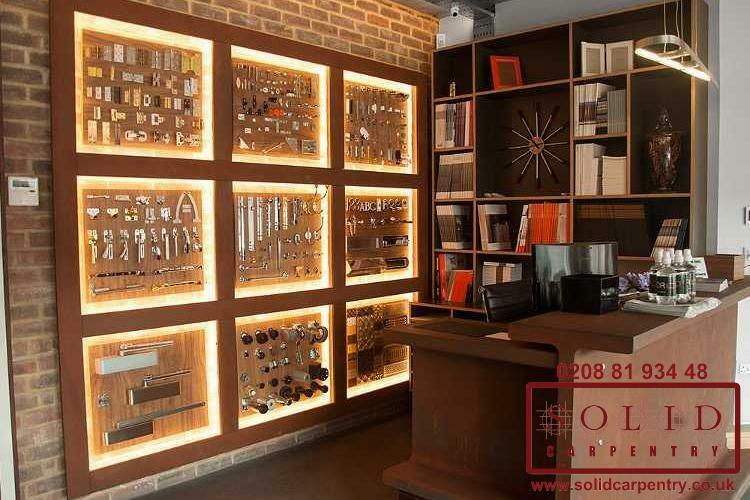 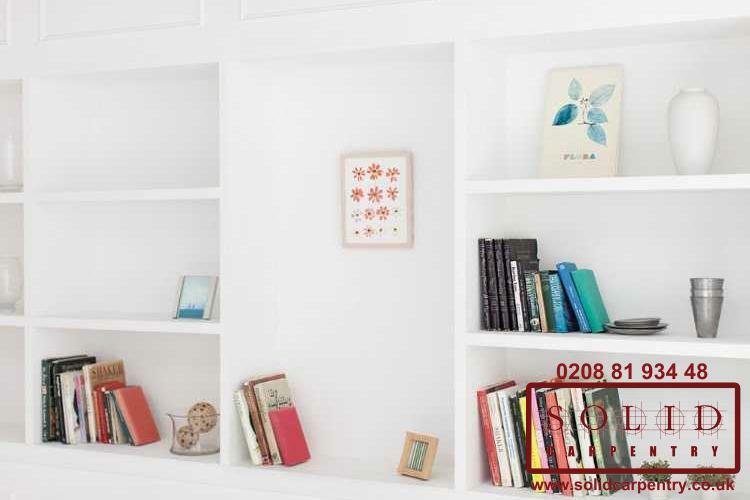 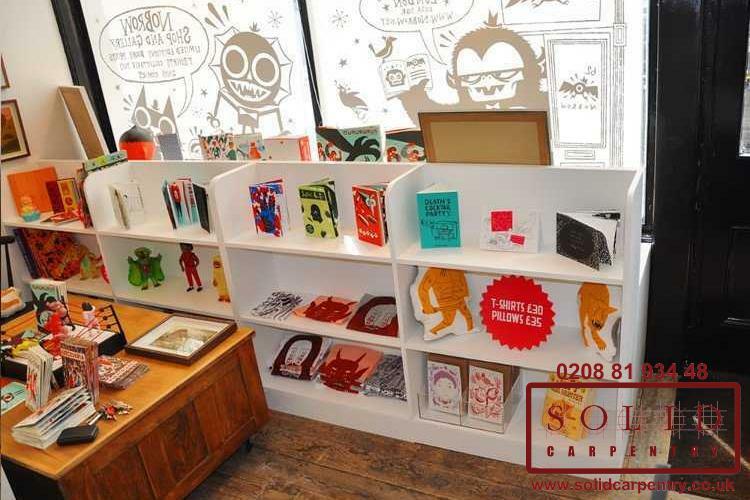 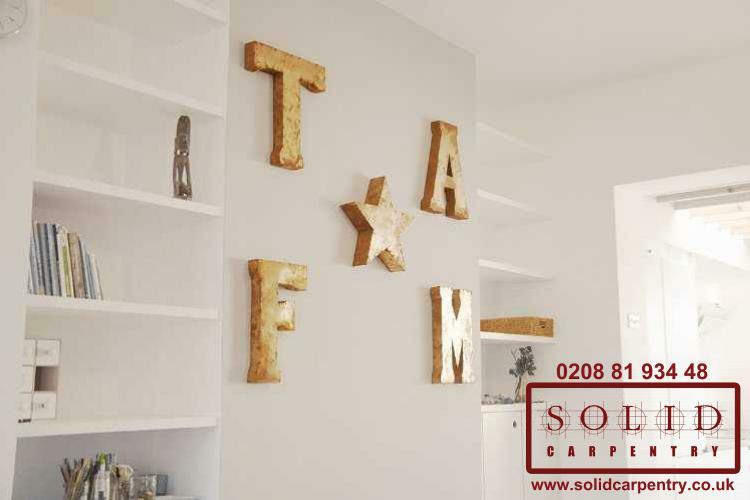 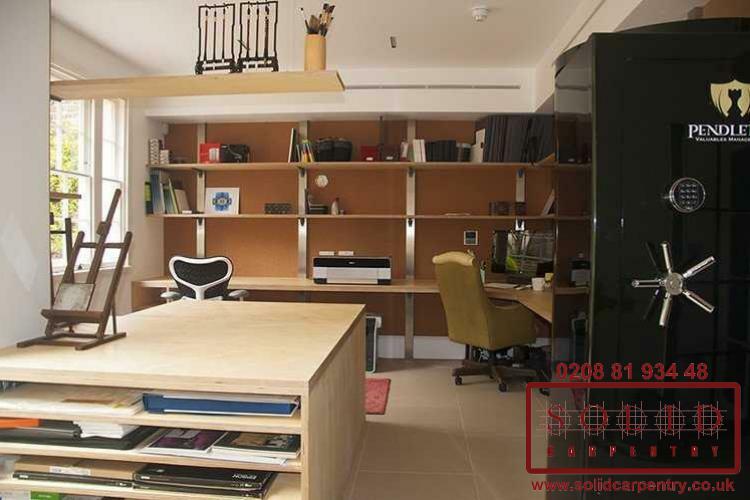 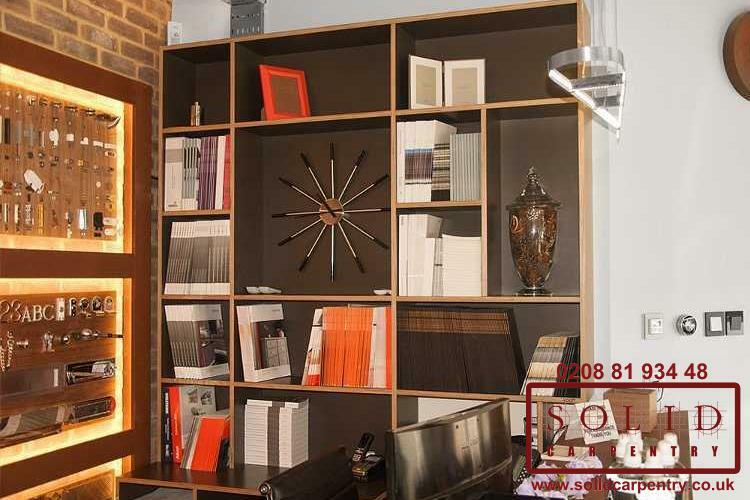 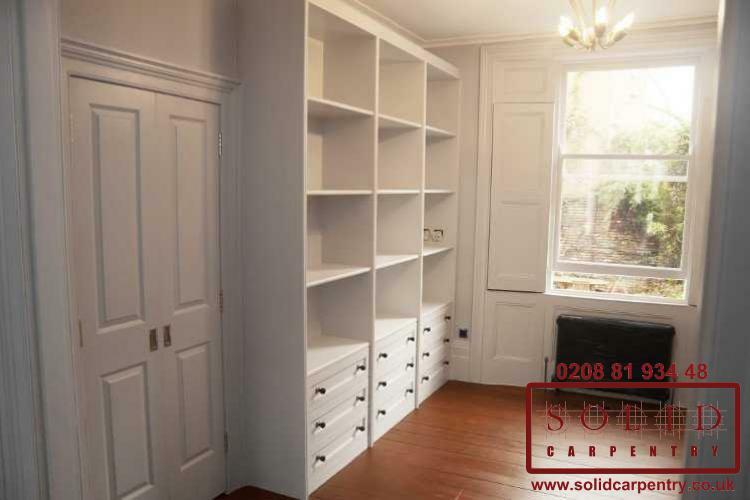 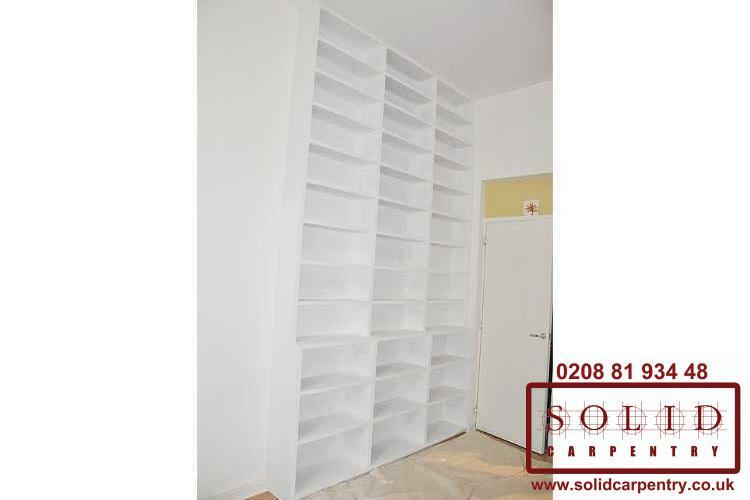 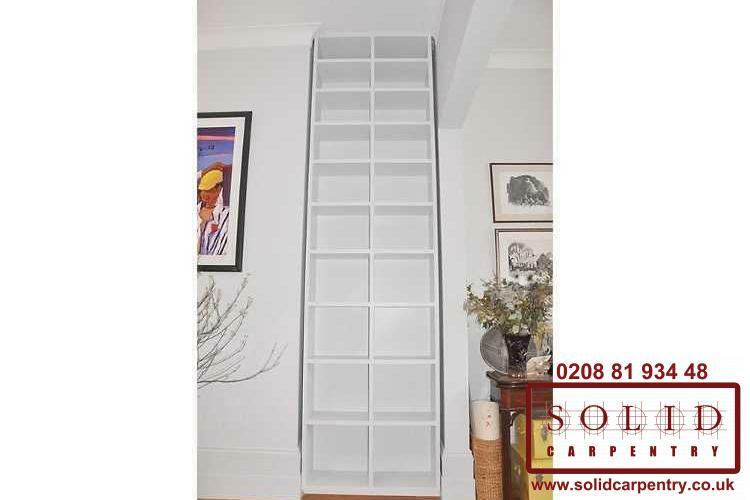 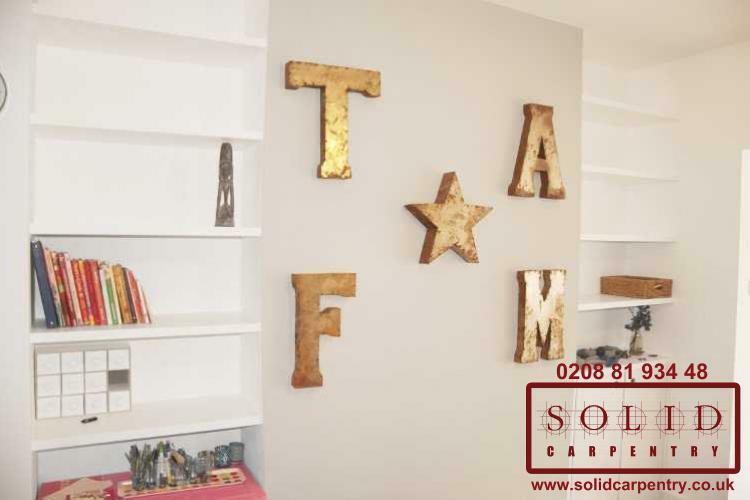 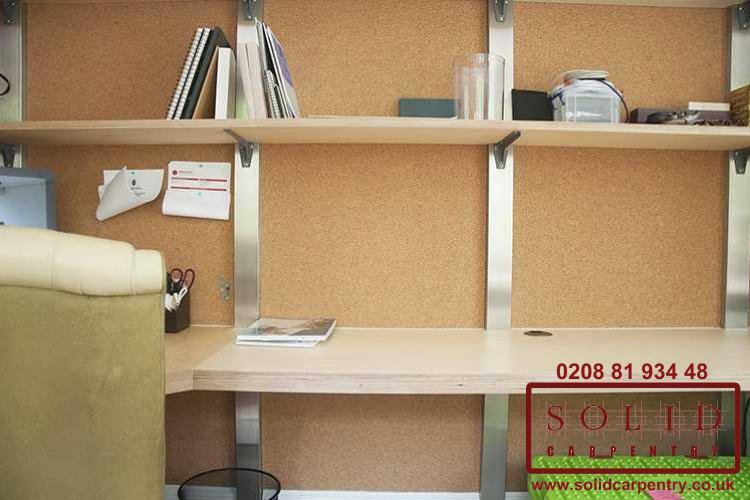 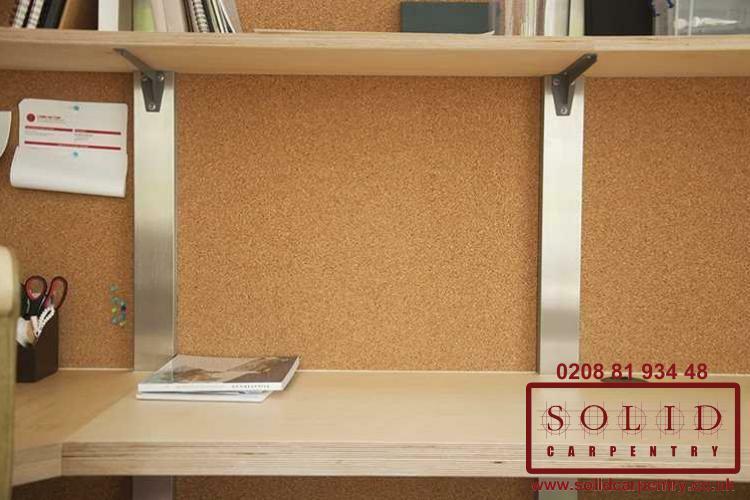 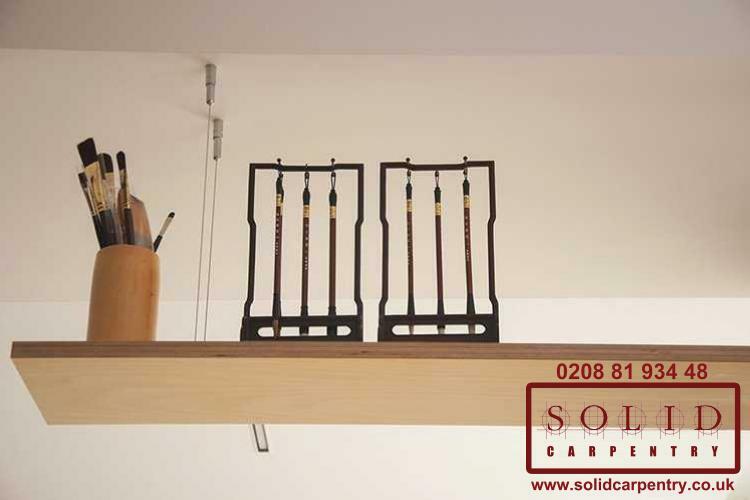 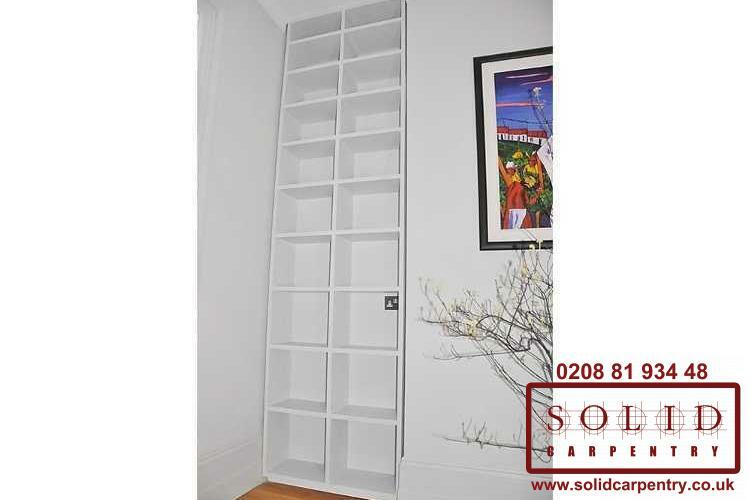 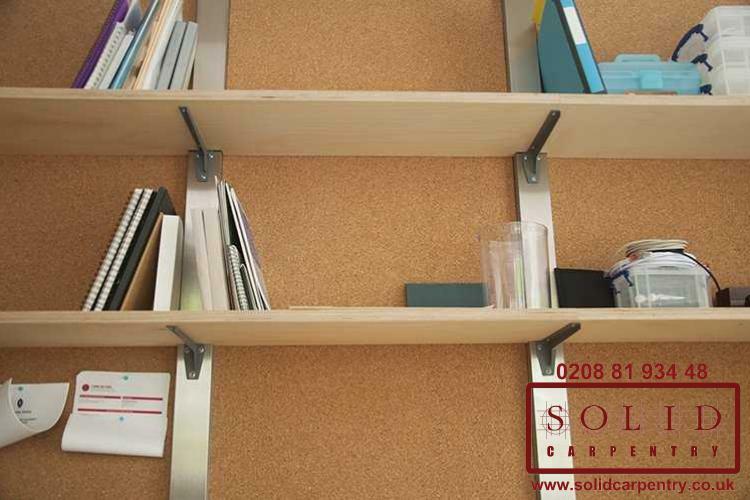 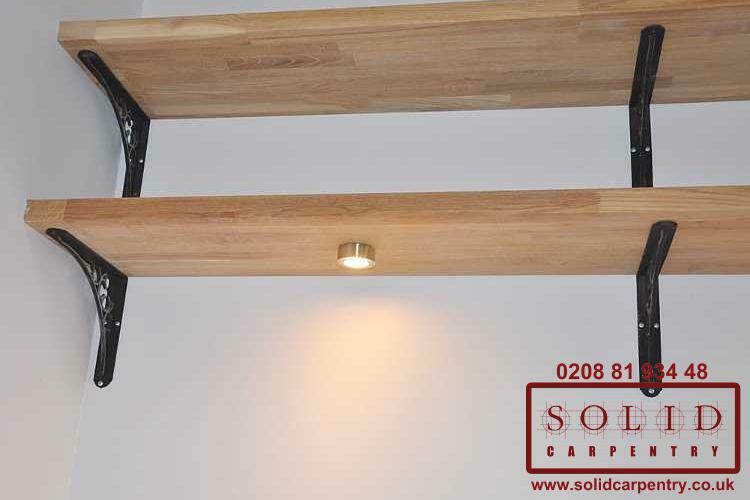 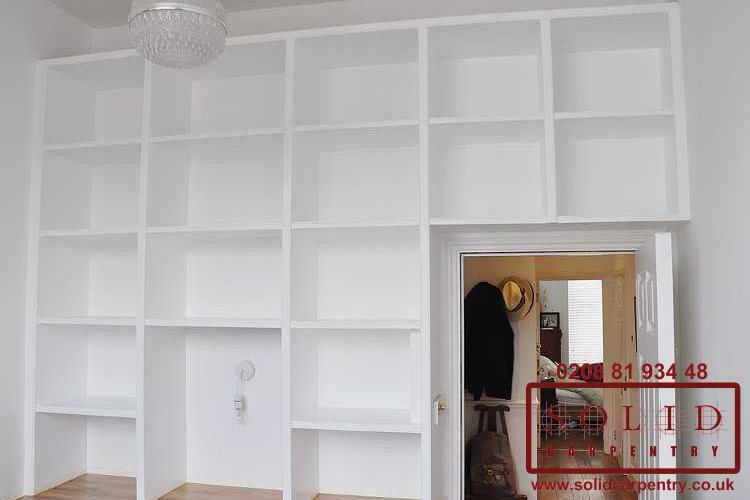 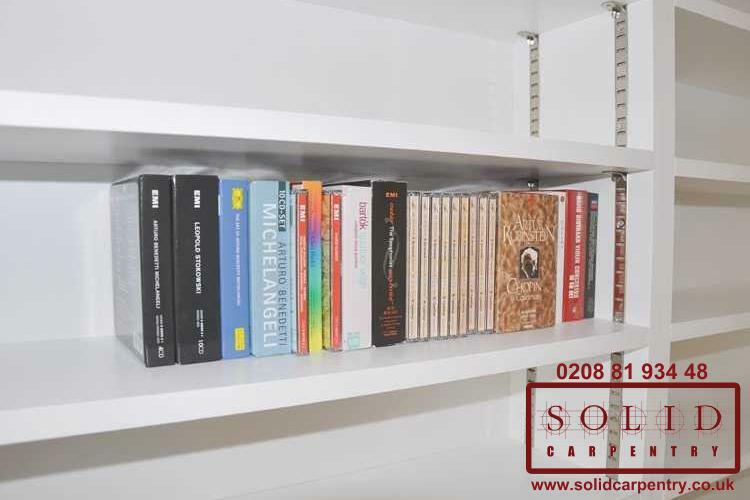 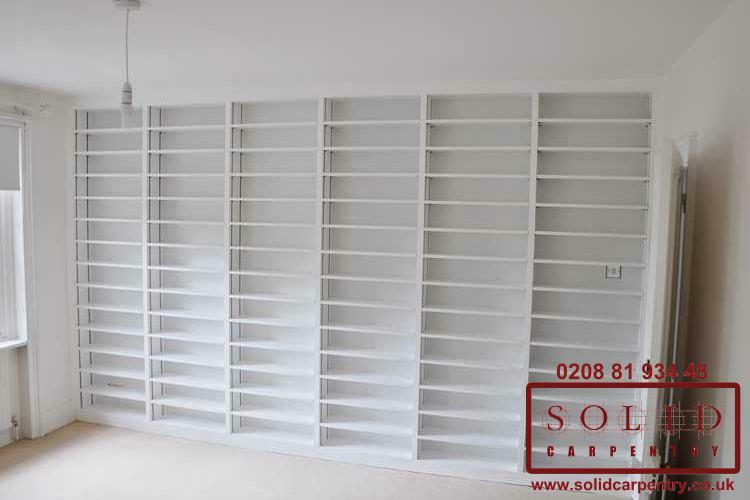 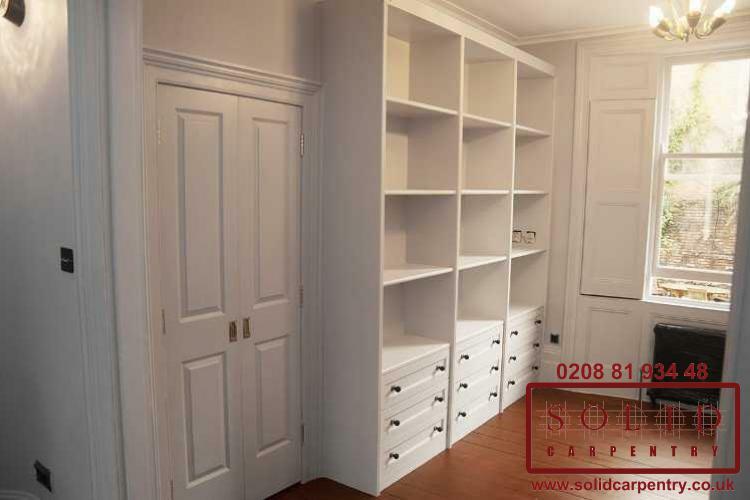 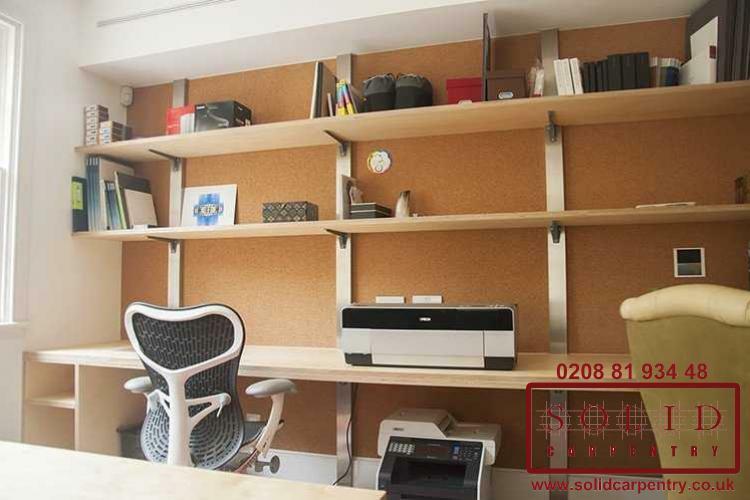 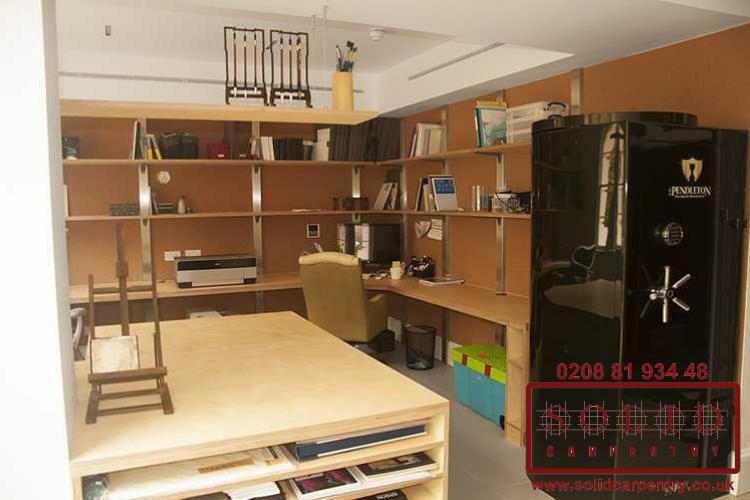 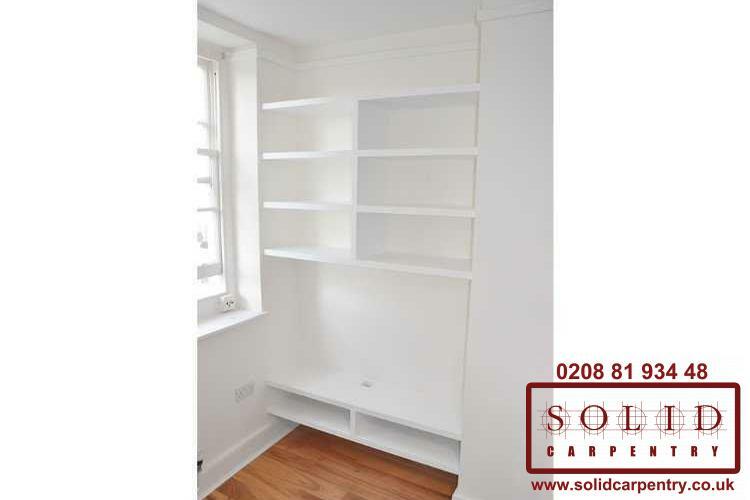 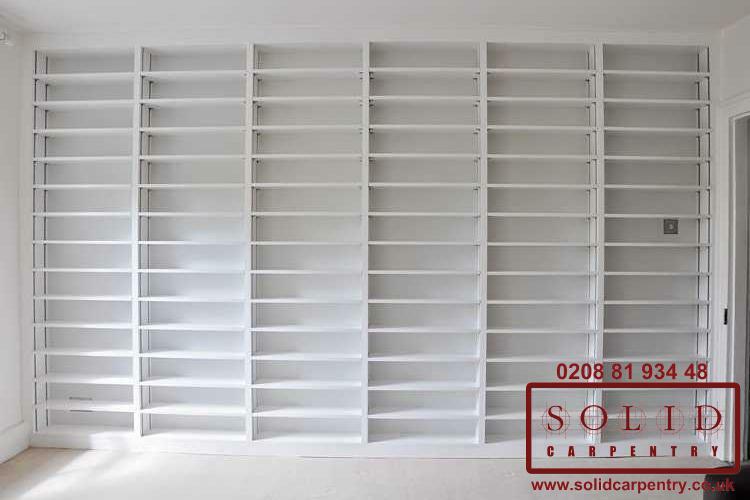 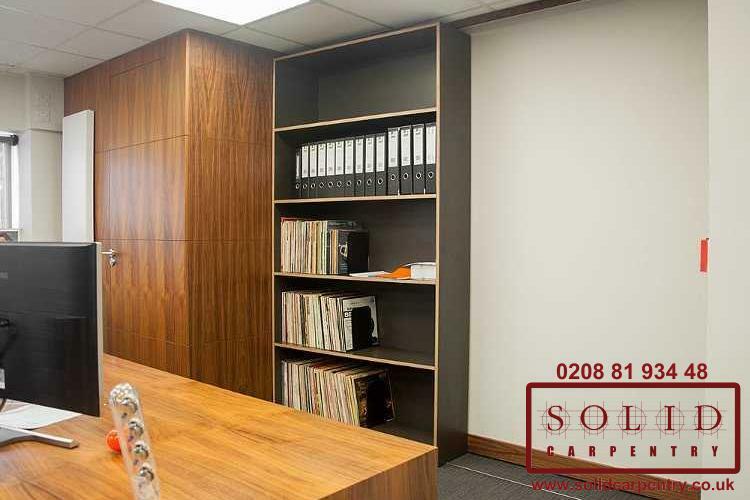 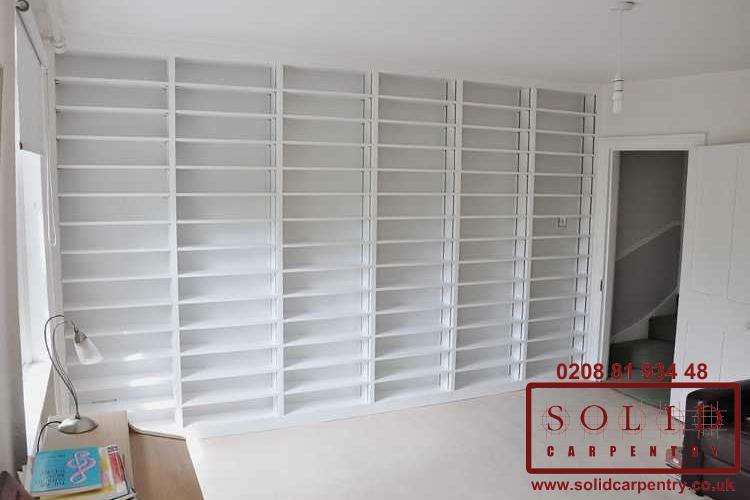 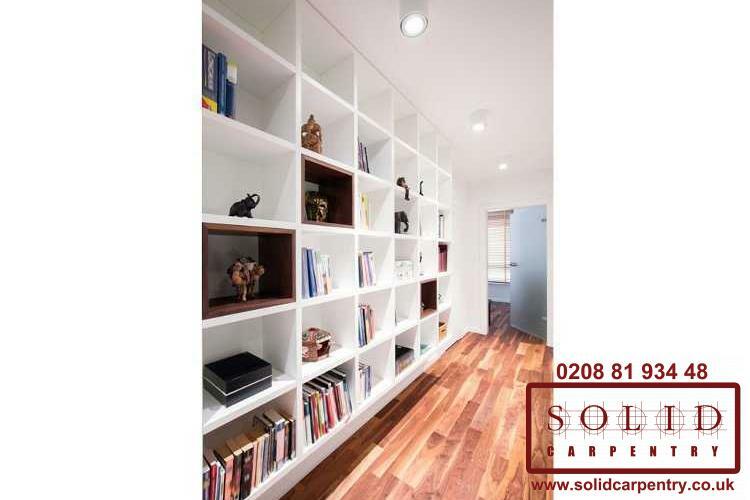 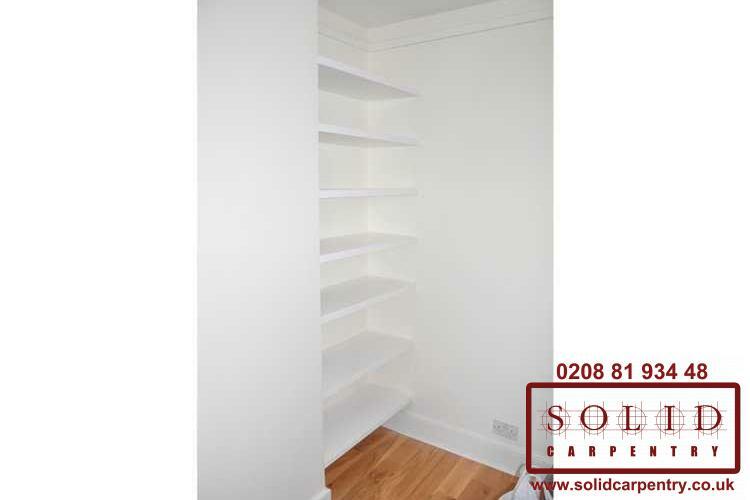 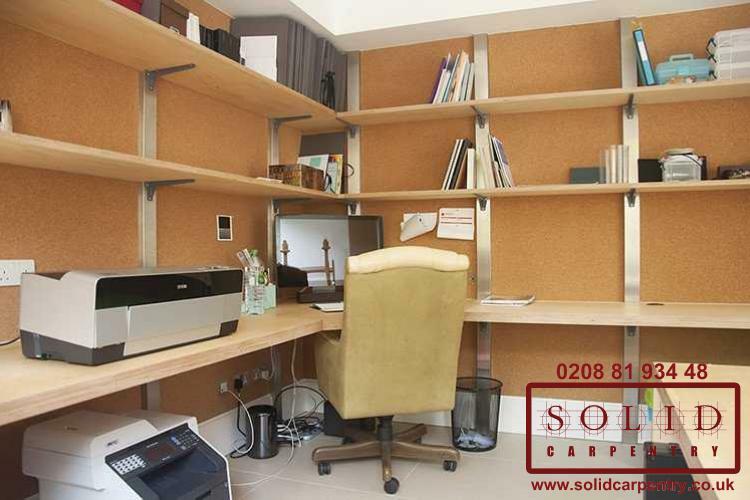 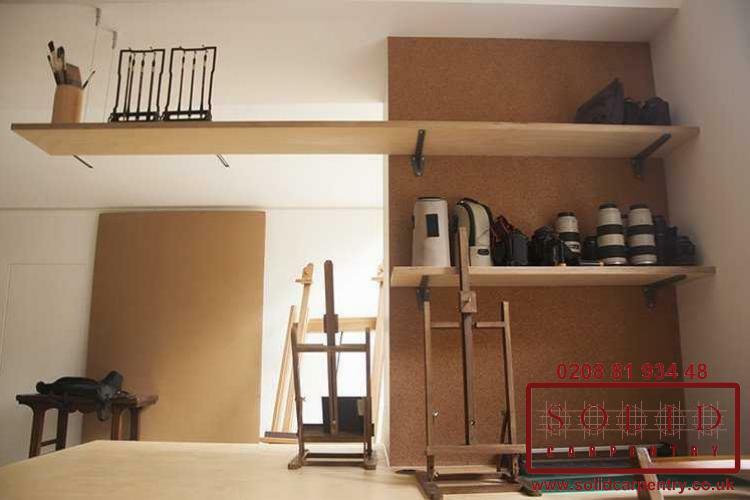 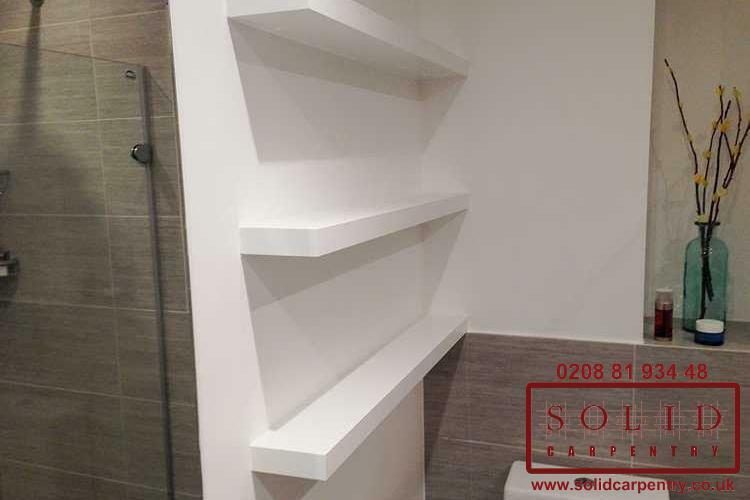 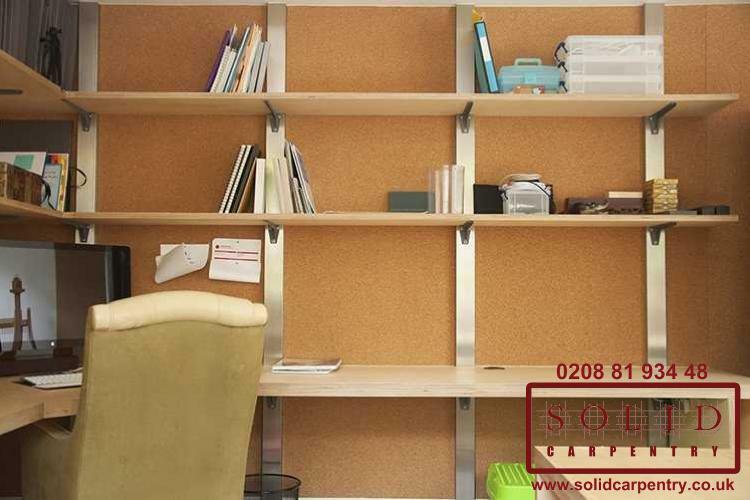 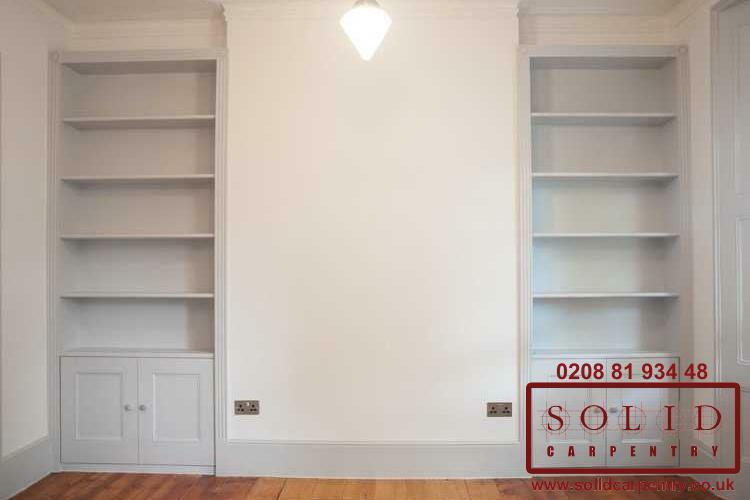 We will individually design and fit any solid wood shelving units for you. 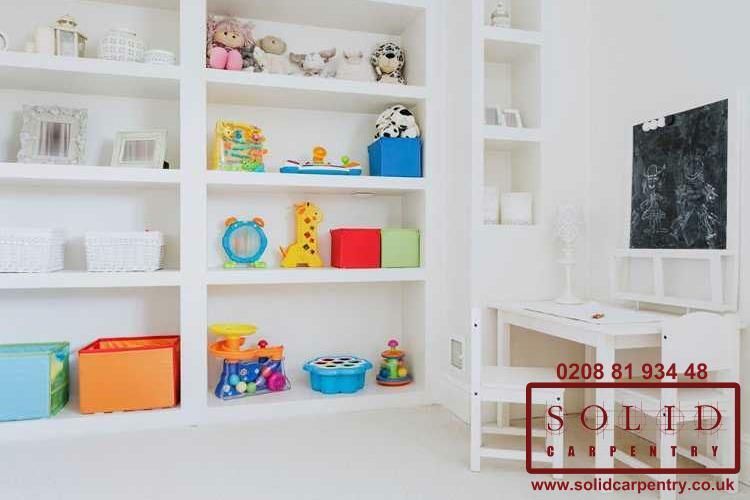 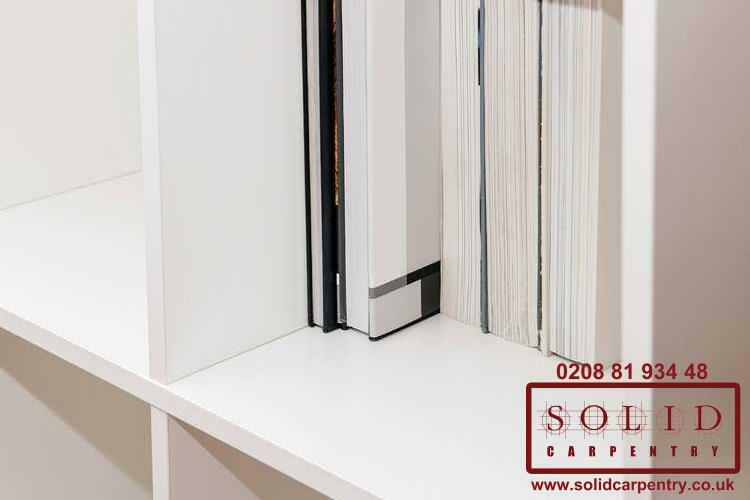 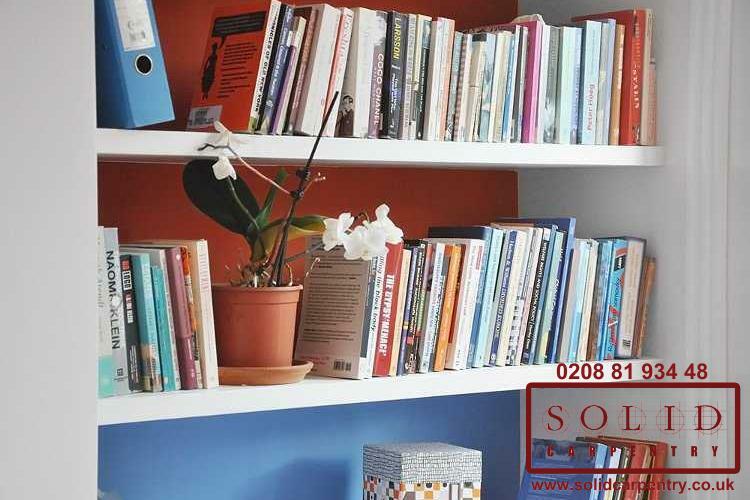 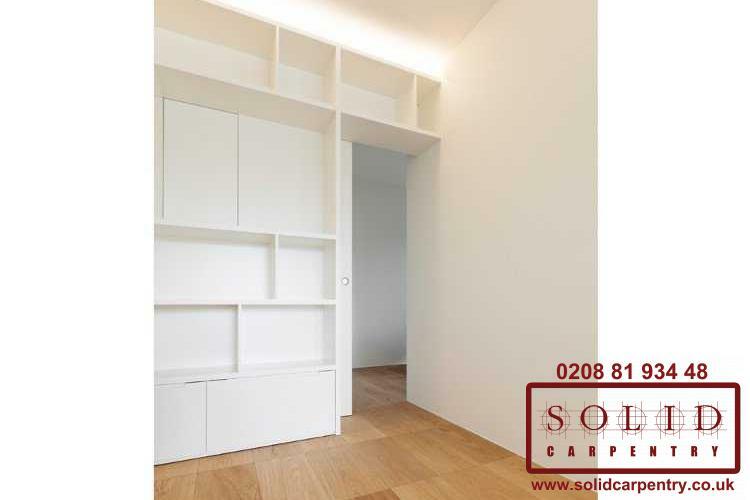 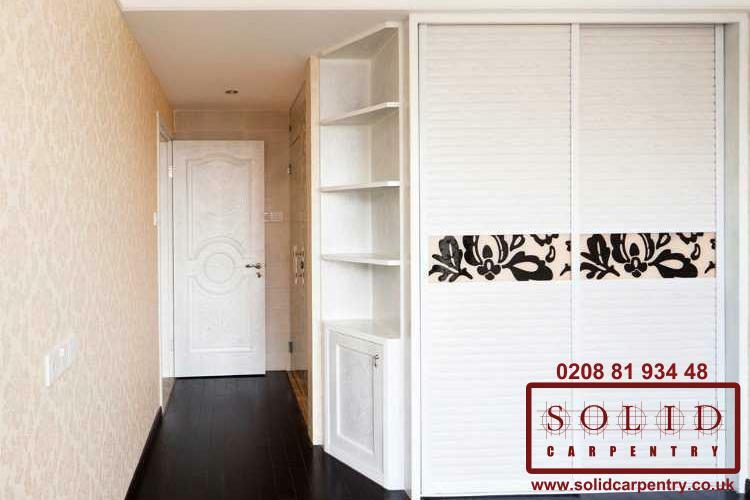 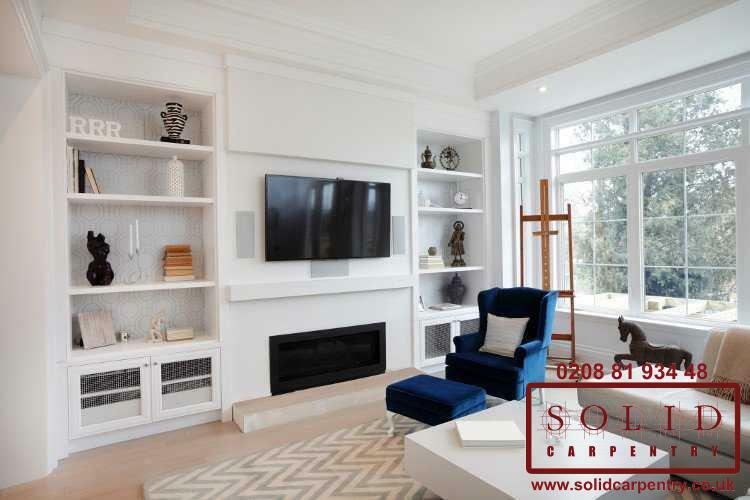 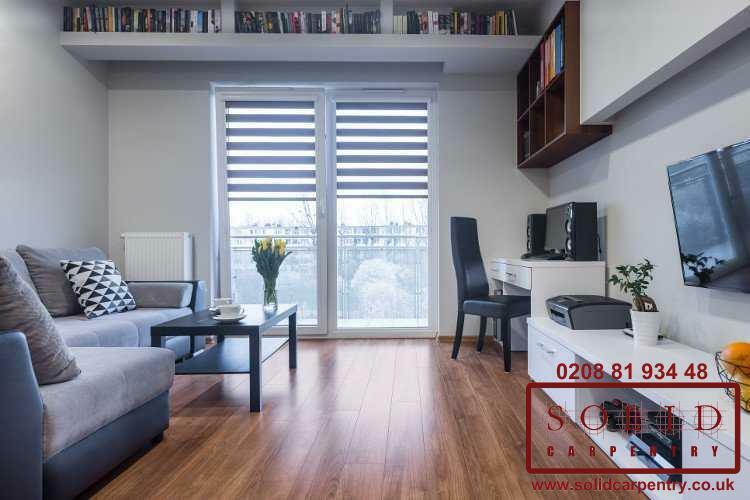 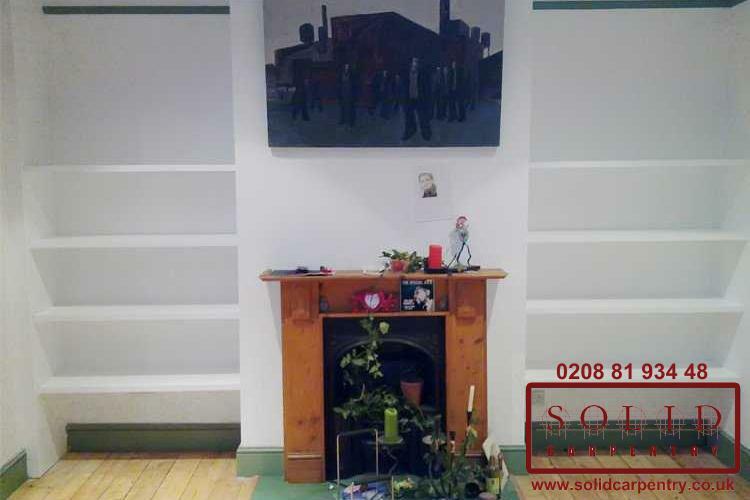 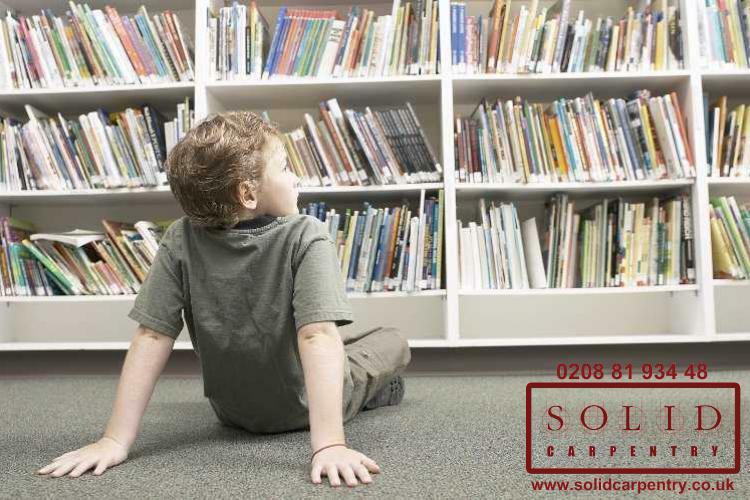 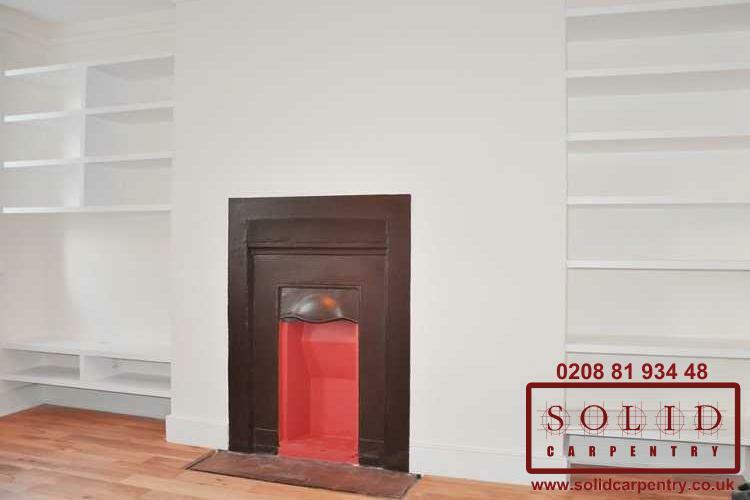 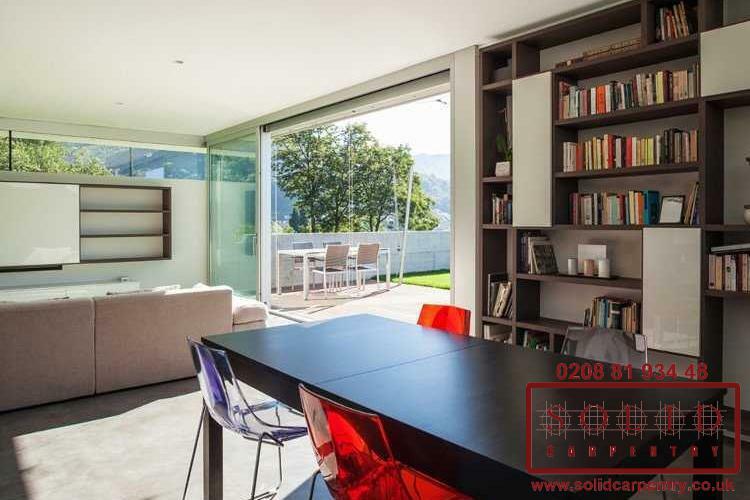 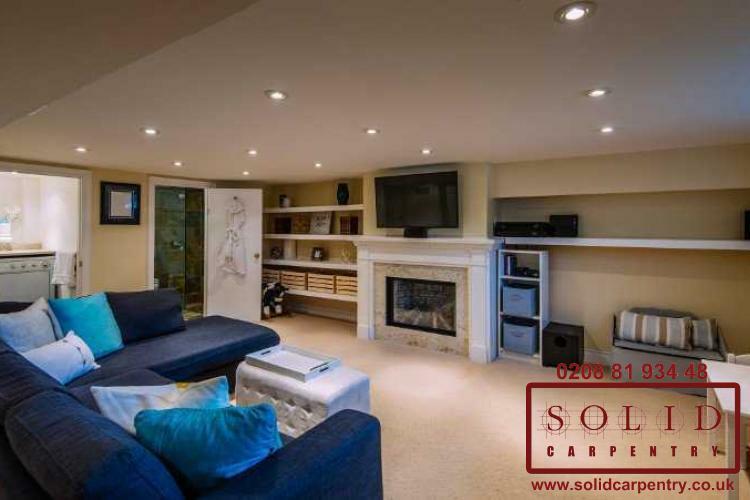 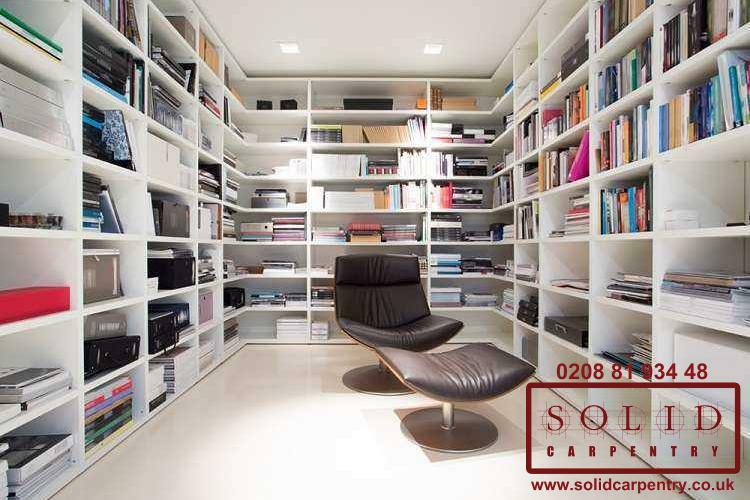 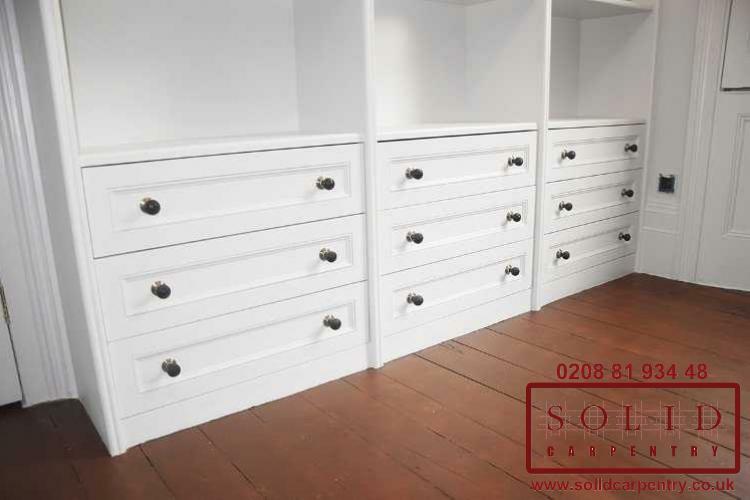 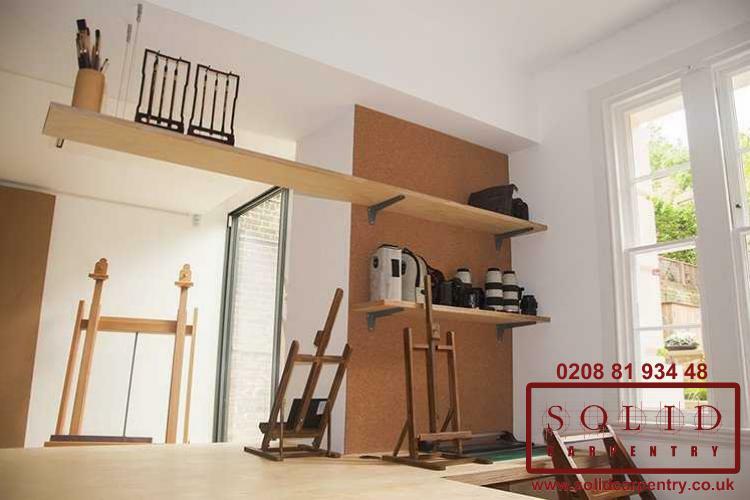 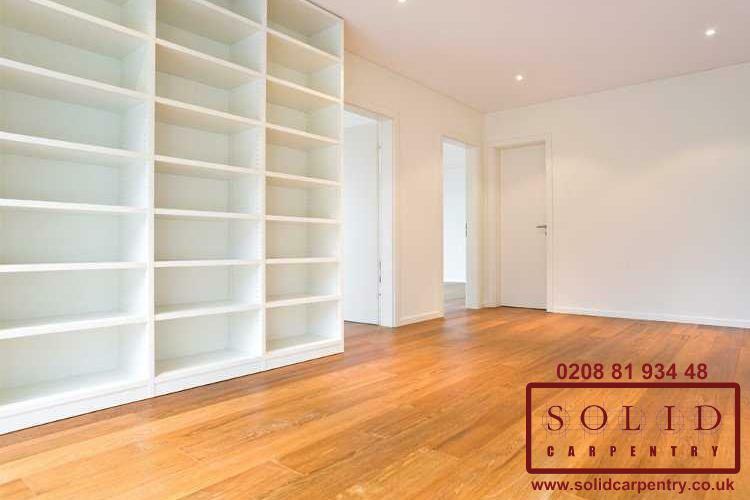 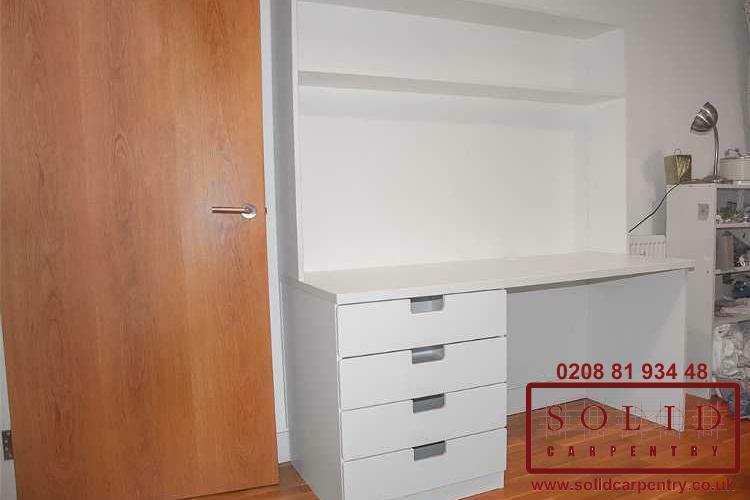 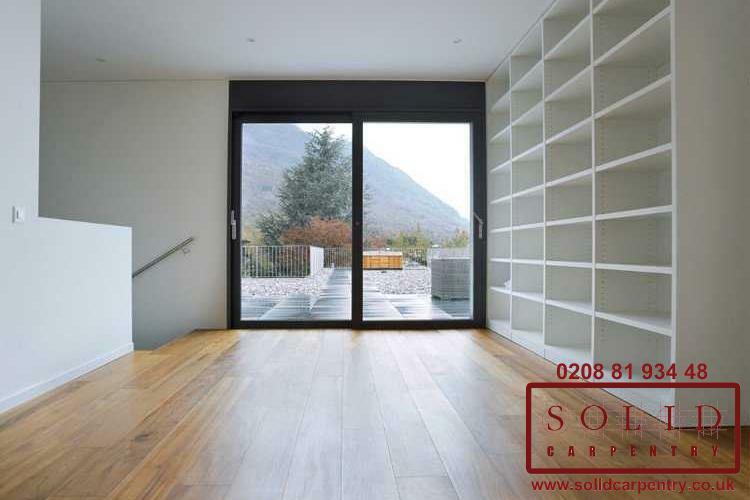 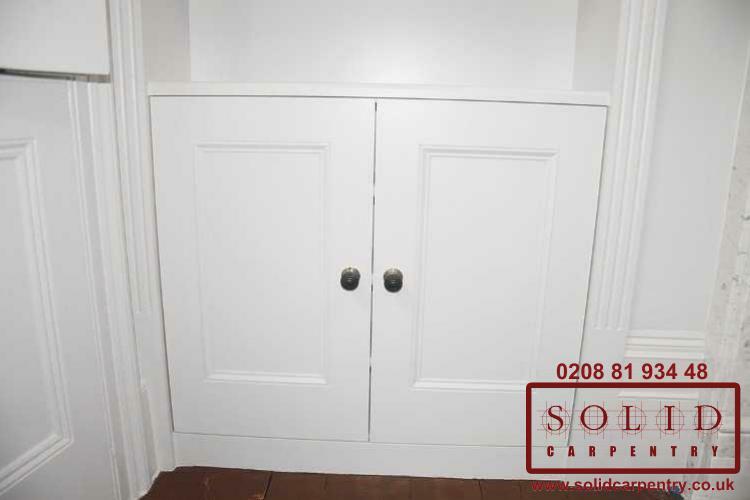 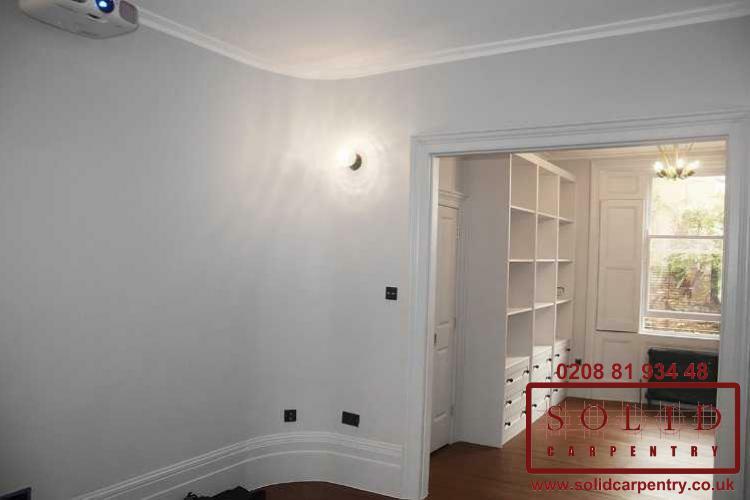 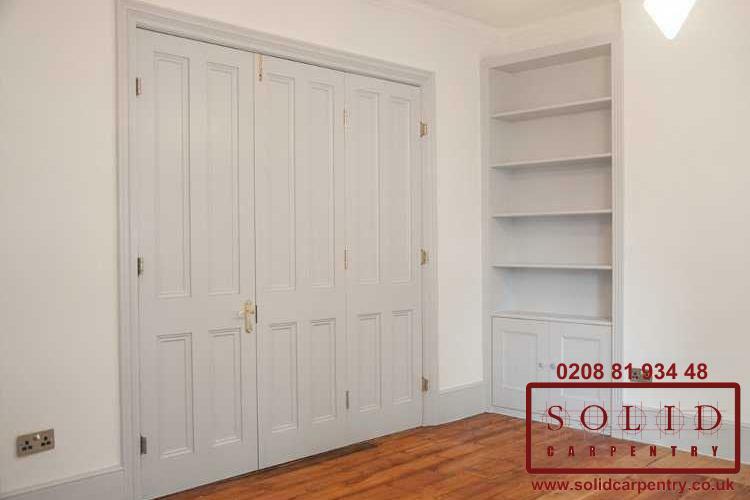 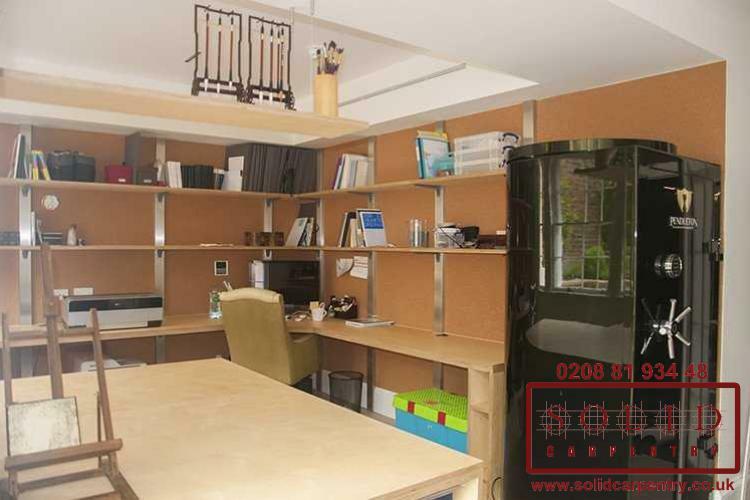 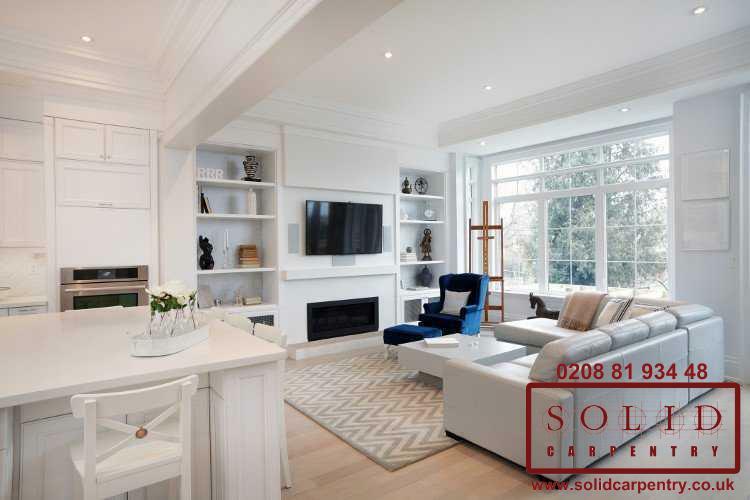 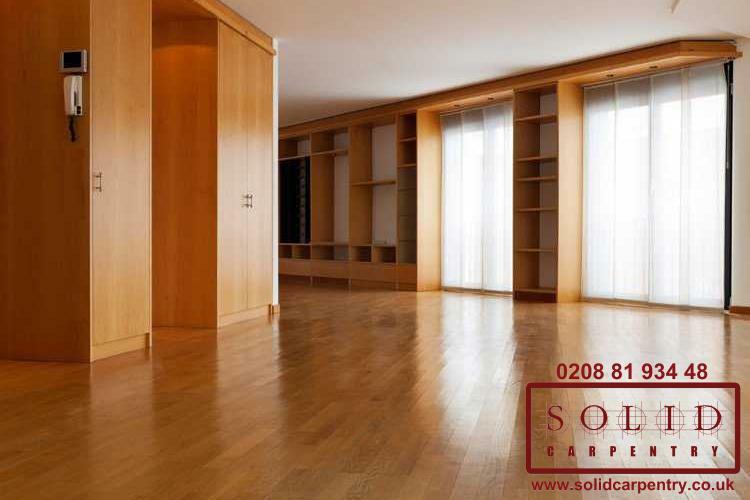 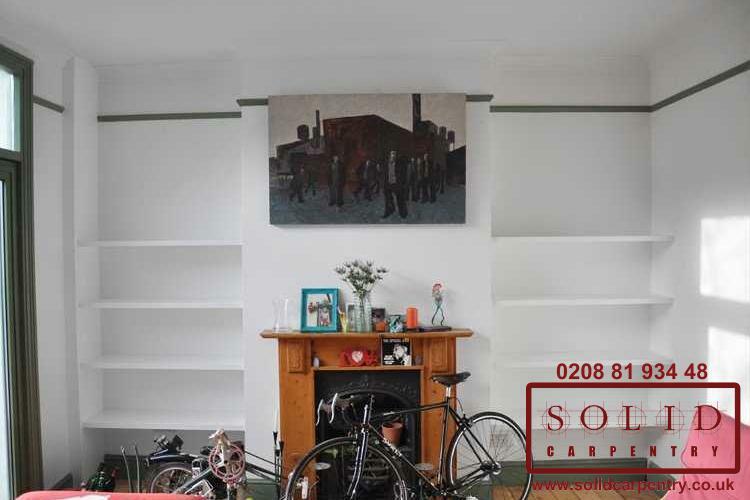 Simply contact us online or call 0208 8193448 for a no obligation service quote.